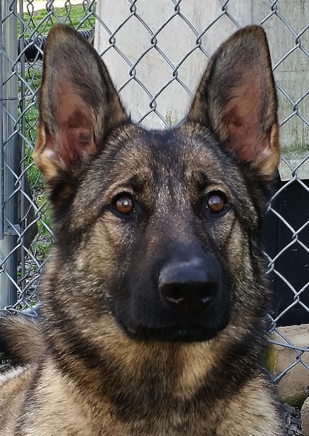 Whether you are looking for a well-bred German Shepherd Dog puppy or trying to find the perfect imported dog, Jim Hill and von Wyndmoor will educate you on your options and will work hard to meet your every need. With its 4 acre boarding, grooming and training facility in Tylersport, PA, Jim and his staff offer top-of-the-line professional services once you acquire that perfect K9 companion. Take advantage of the wealth of experience, knowledge and skills Jim brings to the table. Call or email him for more information on how doing business with von Wyndmoor can make a world of difference in your satisfaction and overall experiences. Jim Hill has had a long and successful career in dog training dating back to 1975 when he first began working in the dog kennel, grooming and training biz. Jim served what amounts to an apprenticeship under many professionals and started his own boarding kennel in 1980. In these past decades Jim has had the pleasure of working in his profession with many talented people and is proud to have trained countless other trainers. He began breeding dogs under the name von Wyndmoor in 1982. Jim titled his first German Shepherd in 1977, receiving a Companion Degree. By 1984 he had titled 5 different dogs in the AKC obedience trials including the most difficult in AKC obedience, Utility Degree. 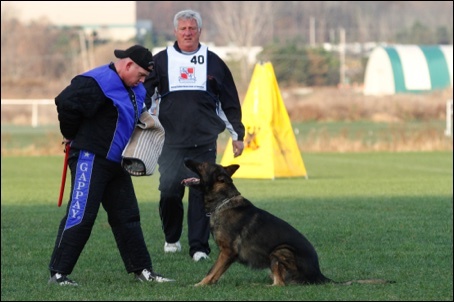 It’s hard to imagine anyone matching Jim Hill’s experience in the Schutzhund training world. Having shown over 110 times, taken 9 different dogs to over 40 different national events and 4 dogs to 6 World Championships, Jim’s resume is indeed voluminous. But it doesn’t stop with his personal accomplishments. Jim’s 38 years of experience has been a shared experience with countless student dogs who have gone all the way from the beginning training to world events. Most recently, Jim and Zwack v Holzinkel were named to represent Team USA in the 2013 WUSV World Championships. He has also coached three individual handlers to world championship events and had numerous dogs to conformation events including the UScA Sieger Show and to the Breed Survey including three in 2012. This level of participation creates a network for continuing education and knowledge of the very finest dogs and breeding lines. It is impossible to truly breed a working dog without training the breed in a job it was designed to do. Jim Hill’s experience and hands-on skill sets over the years has provided him the rare knowledge of the breed standards and use dogs who can pass a “peer review.” This peer review is the Korung or Breed Survey. 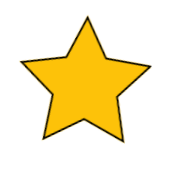 In the Breed Survey, all dogs must have their hips and elbows certified, an endurance test (called AD which is a 12 mile run in 2 hours), a conformation rating of good or better (scrutinization in over 25 areas of conformation and character with no disqualifications) and at least an IPO 1 or higher level of training. 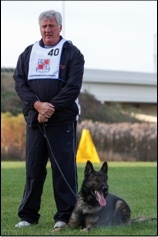 Jim’s qualifications have been rewarded with his superior relationships with Police Service K9 Teams for many years and served as a consultant for both training and handling. 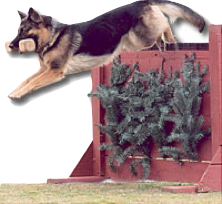 Jim has been a past Regional Director for UScA and a Board Member at Large for this national German Shepherd Dog club. 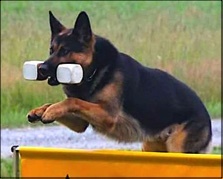 Jim continues to conduct seminars on the training of German Shepherd Dogs and other breeds. Pasha von Wyndmoor, Nixi von Wyndmoor, Zwack v Holzwinkel and ''Mica'' from the "X" litter von Wyndmoor. Photo on right is Ziva von Wyndmoor, daughter of Zwack and Jaska. Helpers thanking Jim for supporting the Helpers and organization as the national sponsor. With Jim Hill at the helm of von Wyndmoor, there could be no higher commitment and pride for the breeding, importing and training for the highest quality German Shepherd Dogs. His continued dedication to learning and living the GSD life is difficult and voluntary. The effort will be witnessed upon a visit to see our dogs and puppies! There has been a 110 year process to make the GSD the best all around working dog in the world. Many well intentioned breeders go their own direction but at von Wyndmoor, Hill and his staff choose to adhere to a well defined breed standard. Von Wyndmoor and Jim Hill work with the world’s best breeders and dogs. No breeder is an island! Quake v Wyndmoor is part of the Search and Rescue organization making news. Quake has been featured in two news reports including the tragedy in Bucks county where four young men were murdered. Click below to check out the videos. Blade is a stock-haired large German Shepherd with excellent drive. Born in December 2013, he loves to work. 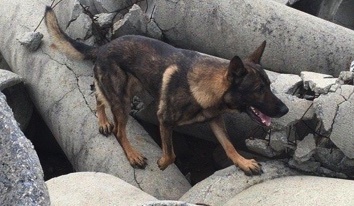 He is line bred on strong lines like eCrok Erlenbusch and the great old lines of the kennel Wolfendobel. Blade is one of our rising stars and just received his IPO3. He scored 96-93-98. At the SW Florida Schutzhund Club's IPO Trial and Conformation Event, Blade received a "V" rating (excellent) and A Breed Survey for 2018 through 2020. The judge was Harald Hohmann, a very well respected judge from Germany.